Sam “fights” bedtime to stay awake and play, Snoozby “defends” sleep and the bedtime battle ensues. 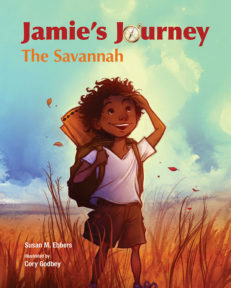 While Sam may win the bedtime battle that night, he loses the war when his day at school is completely disrupted due to his lack of sleep. Snoozby and the Great Big Bedtime Battle is a groundbreaking nonfiction picture book for children about sleep health and wellness written by sleep educators and clinicians, Terry Cralle and Dr. W. David Brown. Fully aware of the stressful bedtime battles that play out in homes around the globe every night, the authors raise awareness of the benefits of sleep while “disarming” children who are fighting sleep. In turn, sufficient sleep becomes a “win-win” proposition for everyone. In the end, Snoozby, the animated pillow, is the superhero and defender of sleep and is victorious in his bedtime battle with Sam. 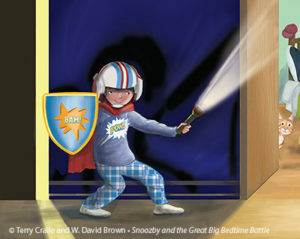 Snoozby is proud to be affiliated with Sweet Dreamzzz sleep kits for children! 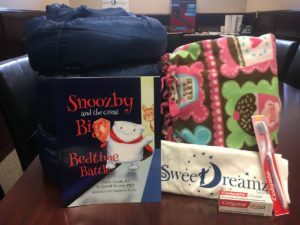 Sweet Dreamzzz is a nonprofit organization committed to improving the health, well-being, and academic performance of at-risk school-age children by providing sleep education and bedtime essentials. 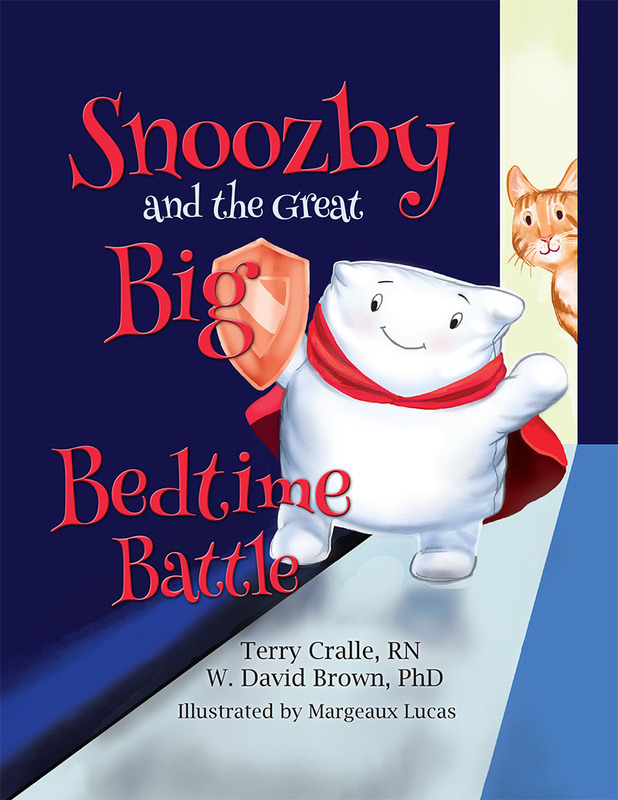 Snoozby and the Great Big Bedtime Battle is adeptly disguised as a pleasurable bedtime story, yet its content is firmly based on current pediatric sleep medicine research. Academic Alignments: Common Core Reading Standards are in alignment for grades 1–5, Health Standards for grades pre-K–5, Common Core State Standards for Mathematics for grades 1–3, and Next Generation Science Standards for kindergarten. Terry Cralle, RN, MS, CPHQ, serves as a national resource for sleep health awareness and is the national spokesperson for the Better Sleep Council. The cofounder of a sleep disorders center in Charlottesville, Virginia, Terry is a passionate and enthusiastic sleep health and wellness advocate and educator, holding the designations of Certified Clinical Sleep Educator and Certified Professional in Healthcare Quality, and, in this capacity, has worked closely with such organizations as Better Sleep Council, International Sleep Products Association, American Sleep Apnea Association and Start School Later. 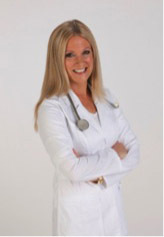 She educates a wide variety of clients and consumers on the critical importance of sleep to physical and psychological health, weight management, safety, productivity, peak performance, success, and quality of life. 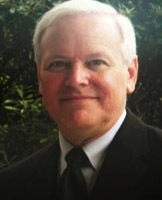 Terry is an associate editor for the Journal of Lung, Pulmonary and Respiratory Research, as well as a frequent lecturer, speaker, and author on sleep issues. She provides sleep health and wellness consulting services to sleep clinics, schools, universities, U.S. corporations, and employee wellness companies and also consults with several industry leaders in bedding product development. Terry holds a B.A. in Sociology from Randolph-Macon College. She received her Bachelor of Science in Nursing at the Virginia Commonwealth University and completed a Masters of Science in Healthcare Management from the Finch University of Health Sciences at the Chicago Medical School. Margeaux Lucas was born on Halloween, so she loves spooky things like black cats, full moons, and very starry nights. She began drawing constantly from age four, amazing her friends with pictures of people and animals, especially horses, which were her favorite. Her love of picture books came from the many hours she spent before bedtime reading from the collection at her grandmother’s house. She studied Graphic Design in school, but is largely self-taught as an illustrator. 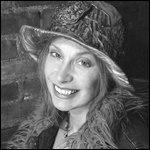 Margeaux’s work reflects her love of fashion, nature, and the many shapes, sizes and colors that people come in, plus the constant exuberance of children. Great way to motivate kids to improve sleep habits. 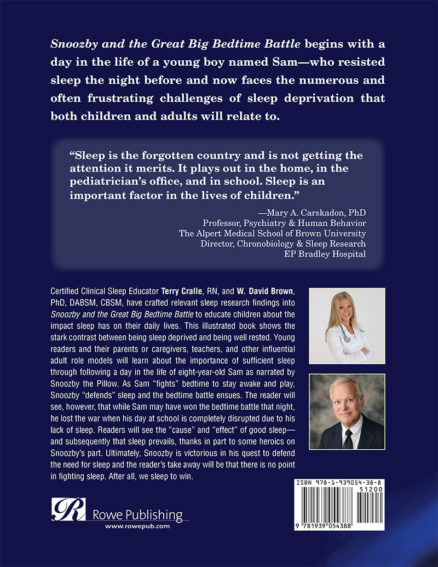 Great book to help,kids understand the importance of sleep and its effect on their readiness and performance. An effective teaching aid. 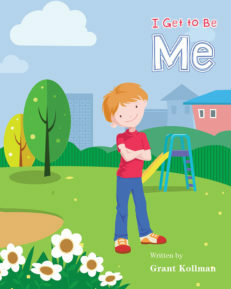 Loved it… Read this aloud to my four year old and she really enjoyed it. 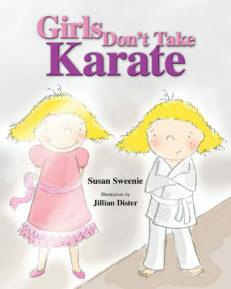 The illustrations are colorful and there is a lot of good information that is presented in a fun, lighthearted and engaging way. Also, the questions included at the end of the book help provide further opportunity to really help young ones absorb the content. Struggles around bedtime are something that every parent is familiar with and I think the approach of educating little ones on the importance and benefits of a good nights sleep is an excellent tactic and a handy tool to have. Would definitely recommend this to any parent who has ever experienced first hand the Great Big Bedtime Battle. 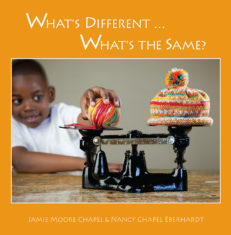 What’s Different … What’s the Same?